You may find yourself wondering, “Are there any particular reasons why orthodontic appliances and teenagers are synonymous?” Here at Derek Damon Orthodontics, our doctor and our dental team are here to tell you that there are plenty! Adolescence is one of the most pivotal times for tooth development in a person’s life. By ages 11-13, a child’s deciduous (baby) teeth have all been lost, and the permanent ones have largely grown in their place. 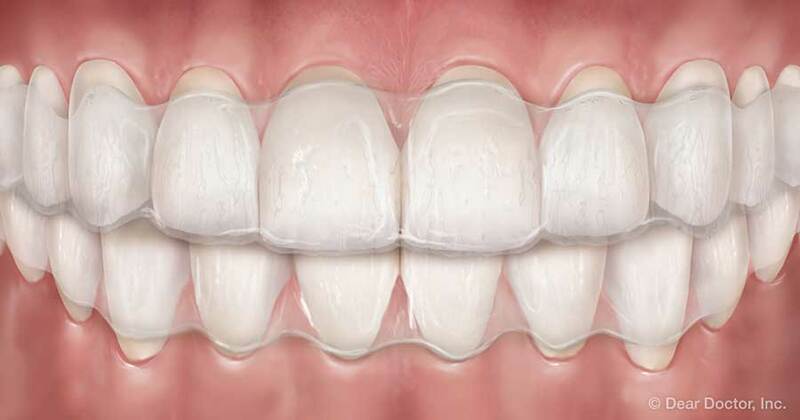 This is a perfect time for our staff to go to work on correcting any developmental problems that cause malocclusion (a bad bite), improper tooth spacing or poor tooth alignment. Additionally, orthodontic problems don't improve with age — they simply become harder to treat. It's easier to treat many orthodontic problems during adolescence because the body is still growing rapidly during this time. Whether we use Damon braces or appliances like Herbst appliances, we can create an improved appearance and function in a short period of time. In later years, when the bones of the face and jaw are fully developed, many conditions become more difficult (and more costly) to treat. Developmentally, adolescence is the perfect time to start correcting one’s smile; but there's even a social element to getting orthodontic treatment during a child’s early teens. If your child needs braces, they likely won’t be alone! Chances are your child will see many of their classmates at school or in our office wearing their very own set of braces, inspiring your son or daughter to want to fit in and be just like them. What can you and your child expect when you come into our office for treatment? It all depends on what kind of treatment your child needs! The first time your son or daughter comes in, we will take some pictures of your mouth and discuss treatment options and timing. If your child is ready for treatment, we will take orthodontic records including a 3D scan of your teeth (no impressions/molds!). Then, we'll develop a unique treatment plan perfect for a growing smile. It may involve Damon braces, with or without elastics (rubber bands). We might also recommend that your child uses a specialized appliance for a period of time. 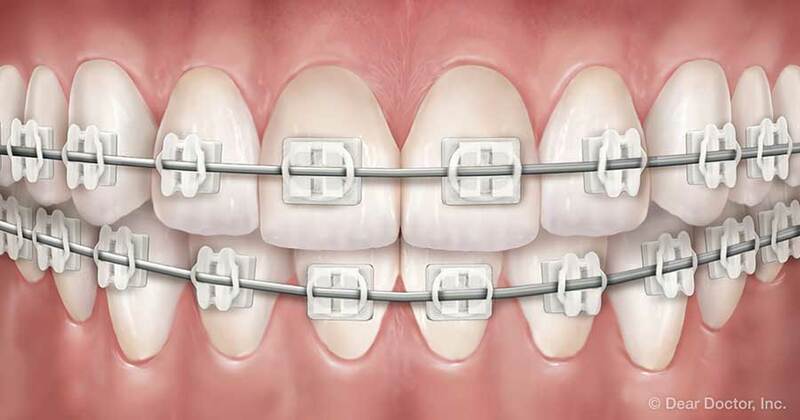 - Damon braces use a unique type of bracket with "passive self-ligating" technology: the bracket doesn't use elastics to hold the archwire in place, allowing the wire to slide back and forth freely within the bracket. 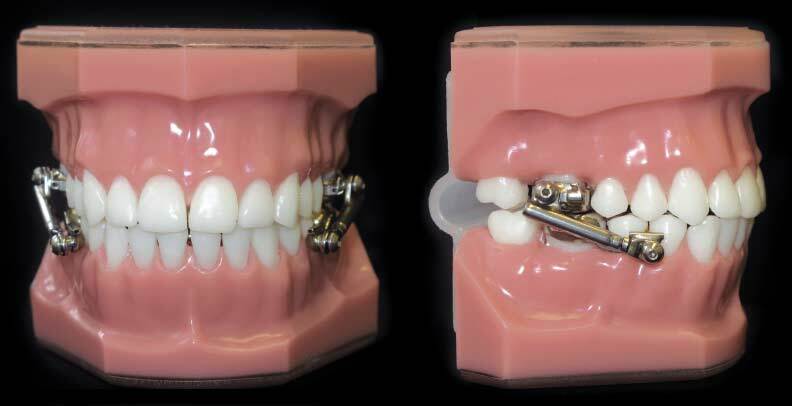 This increased freedom of movement minimizes friction and allows for more efficient tooth movement using much lighter forces, producing a treatment that's faster, more comfortable, and more convenient than traditional metal braces. 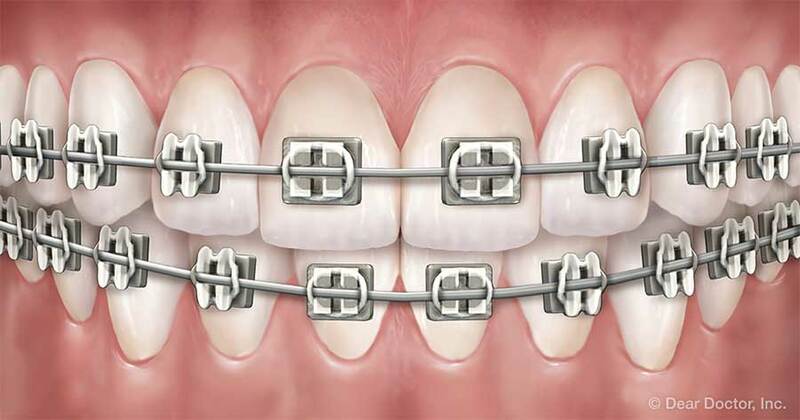 - Utilizing the same technology of Damon Braces, Damon Clear braces feature brackets and “doors” made of ceramic which blend in with your teeth, making them harder to notice. They're suitable in many situations, but they cost a little more and are also more fragile. - Invisalign Teen is a series of removable, clear plastic trays (aligners) that gradually straighten teeth as they're worn (for 22 hours per day). Formerly recommended only for adult patients, they now come with special features that make them appropriate for teens in some situations. The advantage: they're practically invisible! - Various orthodontic appliances may be recommended in some cases, especially when the major tooth or jaw movement is needed. These appliances are devices that fit inside the mouth to expand the jaws side to side or front to back. But don't worry: your child will get used to them with ease, and they're temporary. How Long Does The Adolescent Orthodontic Treatment Period Last? There's no one answer that fits every teen; it all depends on what we need to do for your child’s individual situation. Generally, however, the active stage of orthodontic treatment lasts 6-30 months. 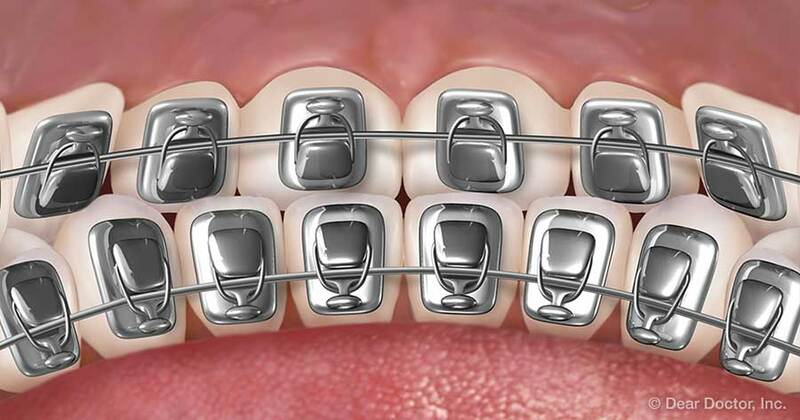 Afterward, your child will wear a retainer for as long as recommended. When your child’s orthodontic treatment is complete, the new smile we've worked together to create will last a lifetime. Call Your Anacortes & Bellingham, WA Orthodontists Today For Adolescent Treatment! Is your teen ready to get started on their journey towards a gorgeous smile? Feel free to get in touch with Derek Damon Orthodontics in Bellingham or Anacortes, WA today for expert adolescent orthodontic care. Remember, adolescence is the best time for our team to treat your child’s bite and teeth, so don’t wait until it’s too late!